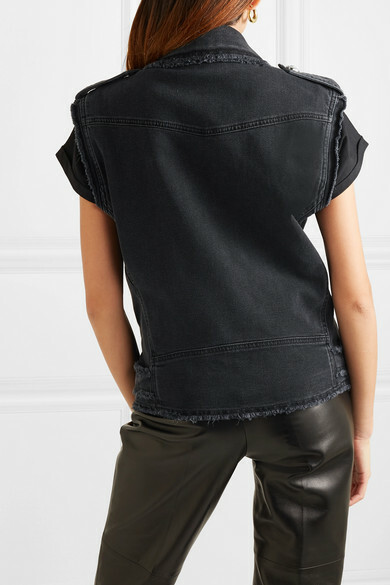 Balmain's vest (slash sleeveless biker jacket) has been made in Italy from black denim that's lightly frayed. 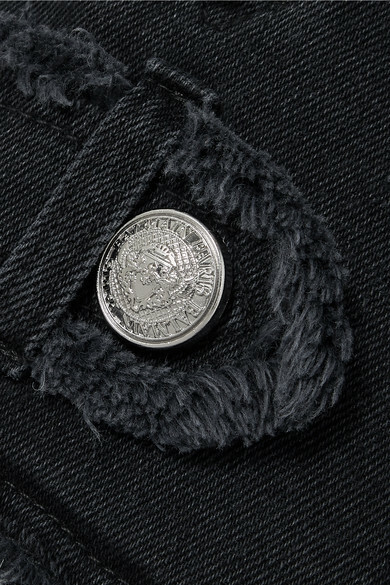 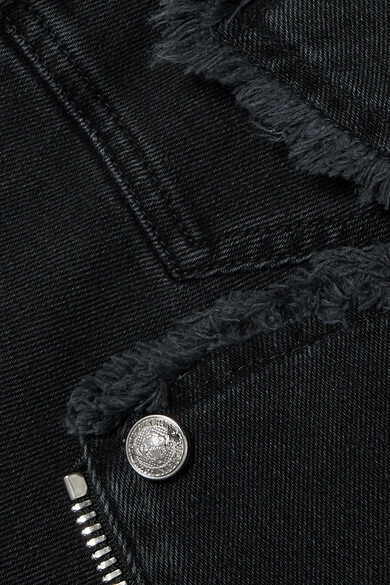 It's cut for a slightly loose fit and is punctuated with silver zips and hardware - it'll look so cool over one of Olivier Rousteing's new logo tees. 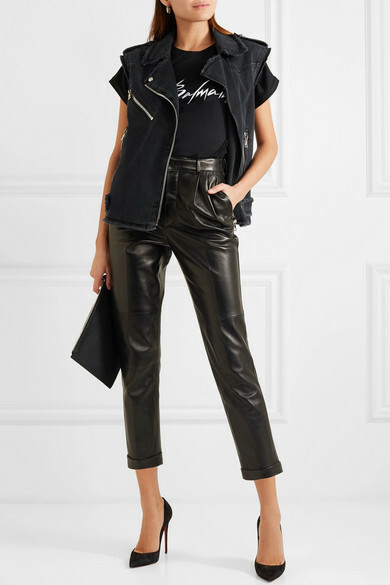 Shown here with: Saint Laurent Pants, Balmain T-Shirt, Christian Louboutin Pumps, Leigh Miller Earrings.